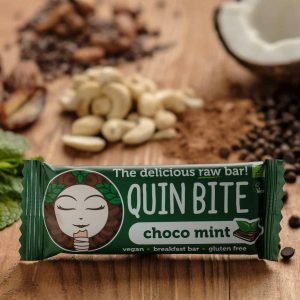 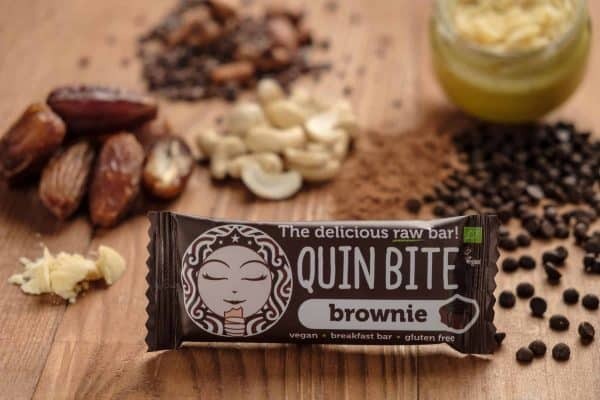 QUIN BITE Brownie is inspired by the favourite dessert chocolate brownie, in a new healthier version and raw revolutionary recipe. 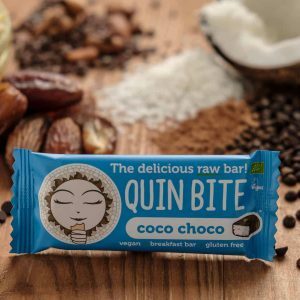 Ingredients: Dates, Cashew, Cacao butter, Chocolate chips (cocoa mass, coconut sugar, cacao butter), Cacao powder. 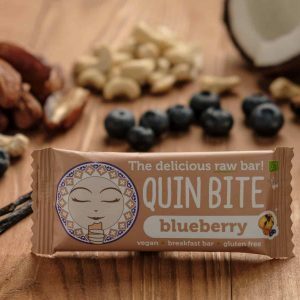 All ingredients are from organic agriculture. 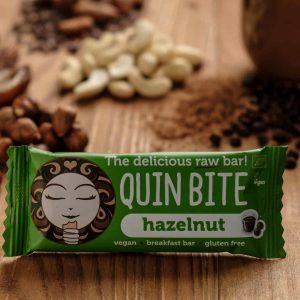 May contain pieces of fruit pits, nutshells & traces of other nuts.